Voice search readiness is the next step in getting found online. 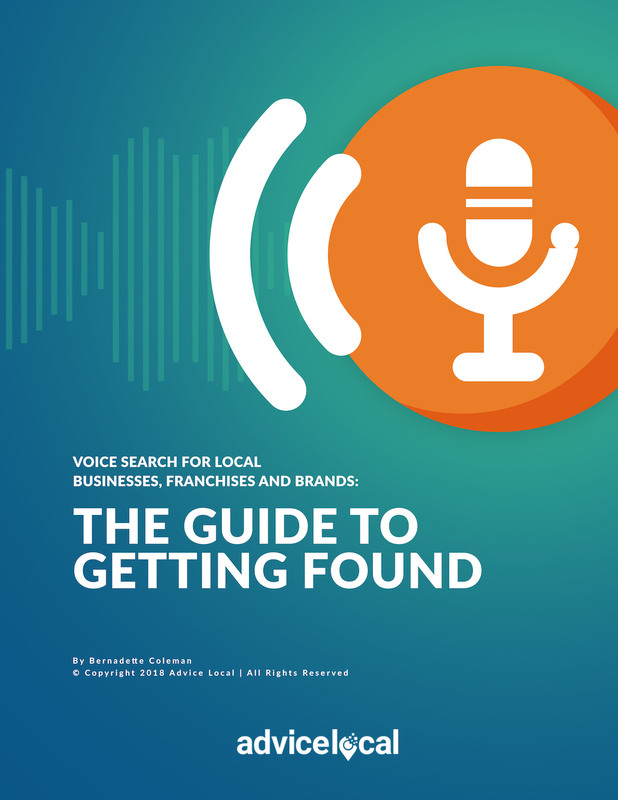 Complete the form to download “Voice Search for Local Businesses, Franchises and Brands: The Guide to Getting Found” now. Your download will be instantly available. Voice Assistants are here to make everyone’s lives easier. But what about local business? As consumers increasingly use voice assistants to look up goods and services in a specific area, local businesses must place in the top in search engine results to get found in voice search. Once upon a time, ranking on the first page of search engines was enough. But with the average consumer of any age reading less and expecting immediate results, businesses only have a moment to grab the consumer’s attention. Now more than ever, it is essential for businesses to learn about voice search, and understand what it takes to get found via voice assistants like Amazon’s Alexa, the Google Assistant, Apple’s Siri, Microsoft’s Cortana, and Samsung’s Bixby. Download our guide now to discover all the benefits of voice search, and its intricacies. If you’d like to know more about Voice Search Readiness and how we help local businesses get found online, request a demo today.